The legendary journey of the Baal Shem Tov zy’a to Eretz Yisrael is a wild adventure on the way to Eretz Hakodesh, filled with incredible Hashgacha Pratis, Emunah and open miracles. Rebbe Yisrael Baal Shem Tov was accompanied by his holy daughter Udel (the grandmother of Rebbe Nachman of Breslov), and his loyal chassid, Reb Hirsch Sofer, and is traditionally recounted at the culmination of Pesach – at the Neilat Hachag /Seudas HaMoshiach – often referred to as “Seudas HaBaal Shem Tov. After an eventful stopover in Istanbul, the Baal Shem Tov and his travel companions were worn out, physically and emotionally. Exhausted, they disembarked for a bit of respite on an unknown island that seemed to be a place of menucha – and were terrified when confronted by a group of violent cannibals. By Divine decree, the Baal Shem Tov was unable to muster any prayer or eitza. Nor could Reb Hirsch. And so they continued, letter by letter, shouting, davening, singing, crying the Alef-Beis. As they pronounced the names of the holy letters, the Baal Shem Tov regained his kochos, and was able to undo the Gezeira. Miraculously, while the group prayed the Alef-Beis, the ship’s bell began to ring in the distance, the sound coming closer and closer. Alarmed, the cannibals dropped their weapons and fled. The Baal Shem Tov, Reb Hirsch & Udel re-joined the other passengers on the ship and continued their journey to Eretz Yisrael. In recounting the maaseh, Reb Gedalya Kenig zt’l would point out that in the face of a threatening Gezeira R”L, our only recourse is “Temimus U’peshitus,” ~ simple faith and whole-heartedness. A heartfelt and prayerful recitation of the Alef -Beis aroused Heavenly mercy and restored the Baal Shem Tov’s strength and abilities. It is a special honor to share this Sefer, for the sake of הרבצת התורה והפצת המעינות- and as a zechus for Dovid’l. Rav Joey has made this available online at YUTorah as well. 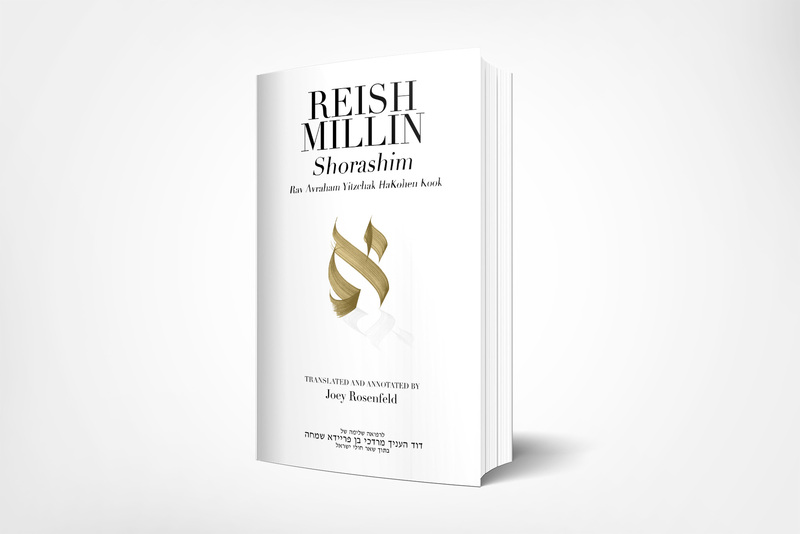 On a personal note, I’m thankful to Rav Joey for re-awakening my own learning of this powerful sefer; the last time I had spent time learning “Reish Milin” was with Dovid’l and a small chabura of friends more than 15 years ago at Yeshivat Reishit… Whatever I’d thought then that I understood pales in comparison to the incredible insight, depth, creativity and interpretation Rav Joey has uncovered in his beautiful work. May the merit of these remarkable teachings on the Alef Beis – and the deep longing, prayer and temimus u’pshitus they express– be a zechus for R’ Dovid’l’s full and speedy recovery. May the bell begin to ring in the distance, and get closer and closer, so that our beloved R’ Dovid’l ובני ביתו – Rina, Noa, Akiva and Yonatan merit to continue their journey back to Eretz Hakodeshבקרוב ממש . Thank you Rav Joey for sharing these Torahs.